Testifying before Congress, Pharmaceutical Care Management Association (PCMA) President and CEO Mark Merritt outlined market-based policy solutions to help increase competition and lower prescription drug costs. The Committee is examining "methods and reasoning behind recent drug price increases" at a hearing titled, "Developments in the Prescription Drug Market." PCMA is the national association representing America's pharmacy benefit managers (PBMs). PBMs administer prescription drug plans for more than 266 million Americans who have health insurance from a variety of sponsors including: commercial health plans, self-insured employer plans, union plans, Medicare Part D plans, the Federal Employees Health Benefits Program (FEHBP), state government employee plans, managed Medicaid plans, and others. 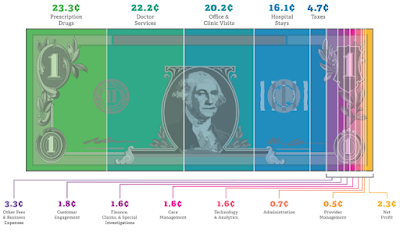 Negotiating rebates from drug manufacturers. Offering more affordable pharmacy channels. Encouraging use of generics and more affordable brand medications. Reducing waste and improving adherence. "The pricing tactics discussed today are just one piece of a much larger puzzle. The key to reducing costs is through competition. The challenge is we need more of it," said PCMA President and CEO Mark Merritt. "There is also a growing use of bait-and-switch copay assistance marketing programs that encourage patients to ignore generics and start on more expensive brand drugs." Unlike programs for the poor and uninsured, copay offset programs are designed to encourage insured patients to bypass less expensive drugs for higher cost branded drugs. Such practices are considered illegal kickbacks in federal programs and have long been under scrutiny by the Health and Human Services Office of Inspector General (OIG). 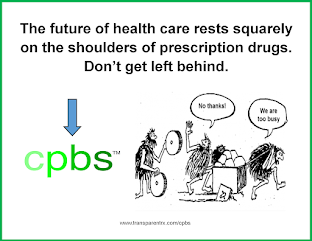 There is no mention by PCMA (a lobbying arm of legacy PBMs) to cut PBM service costs by eliminating the hidden cash flows from which traditional PBMs hugely profit. The focus is seemingly always "high drug cost" which is somewhat misleading. A pharmacy benefit is inherently expensive, but even more so when PBMs drive incremental revenue through arbitrage. The solutions outlined below by PCMA are all self-serving and here's why. Accelerating FDA approvals of me-too brands against drugs that face no competition. Puts traditional PBMs in a better negotiating position for larger rebates. Accelerating FDA approvals of generics to compete with off-patent brands that face no competition. Generic drugs provide traditional PBMs higher gross margins, compared to brand drugs, and are more likely to be refilled (more volume) by patients. Creating a government "watch list" of all the off-patent brands so potential acquirers are aware that policymakers can monitor these situations. This is related to Martin Shkreli and is nothing more than an attempt to curry favor with politicians and to divert attention away from the real issue; the lack of transparency traditional PBMs provide. Making copay coupons an illegal kickback for all insurance that receives any federal subsidy. Pharmaceutical manufacturers often use co-pay coupons to skirt PBM formulary decisions especially when these decisions don't favor (i.e. tier 3 or non-formulary) the manufacturer. Traditional PBMs want to protect rebate dollars from those Tier 1 and Tier 2 brands which pay said rebates.